Wondering about a good Mother's Day gift, whether for your wife, your own mother, or mother-in-law? 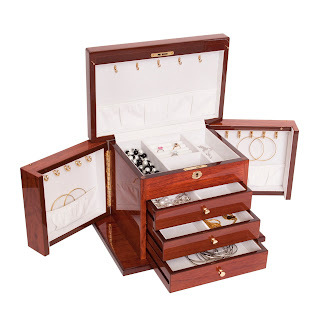 Consider a beautiful jewelry box! They come in a variety of shapes, sizes, and colors. 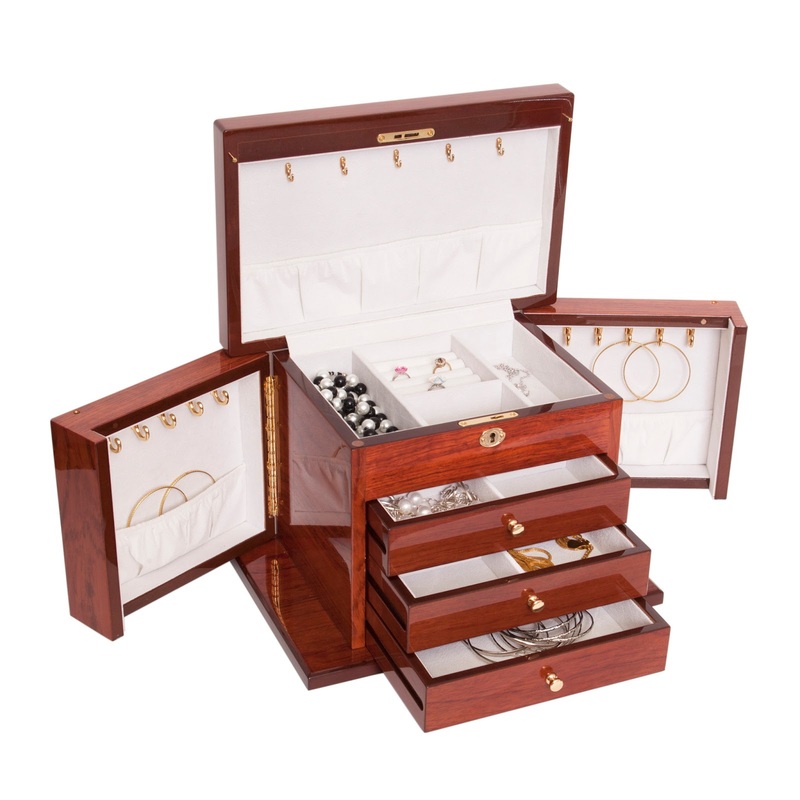 The most common is a wooden jewelry box with a lid that opens and drawers underneath. 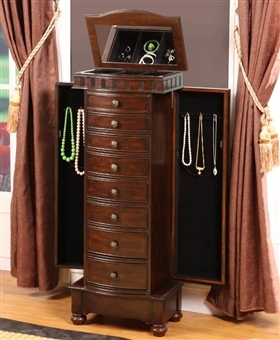 You can move up to standing jewelry box armoires that have both a lifting lid, drawers in the middle, and full length side doors for hanging necklaces and longer chains. Almost all contain a vanity mirror and most are lockable. Colors range from traditional antique beige to maple and coffee, able to blend in with almost any bedroom motif. The designs vary from traditional distressing, ornate carvings, and antique knobs, to highly polished modern designs and fixtures. Each box is hand-made providing slight variations in texture, grain, and color. You can also think about leather train cases which are wonderful for travel. So if you're looking for that special gift that is unique and will provide a lifetime of pleasure and use, at an affordable price, think about a wooden jewelry box or jewelry armoire.